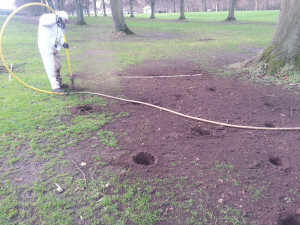 PROJECT:USING “AIRSPADE” TO GET TO ROOT ISSUES IN STORMONT. Stormont estate is a glorious example of a well maintained public park, made picturesque by the mature trees lined up in a “guard of honour” fashion. 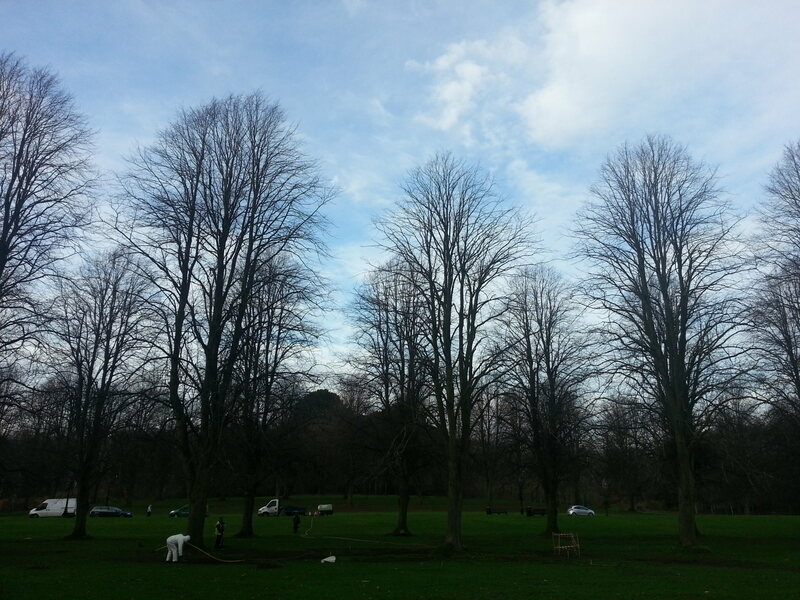 The trees are lime trees and while impressive and strong in appearance a few are showing early signs of potential issues due to waterlogging. 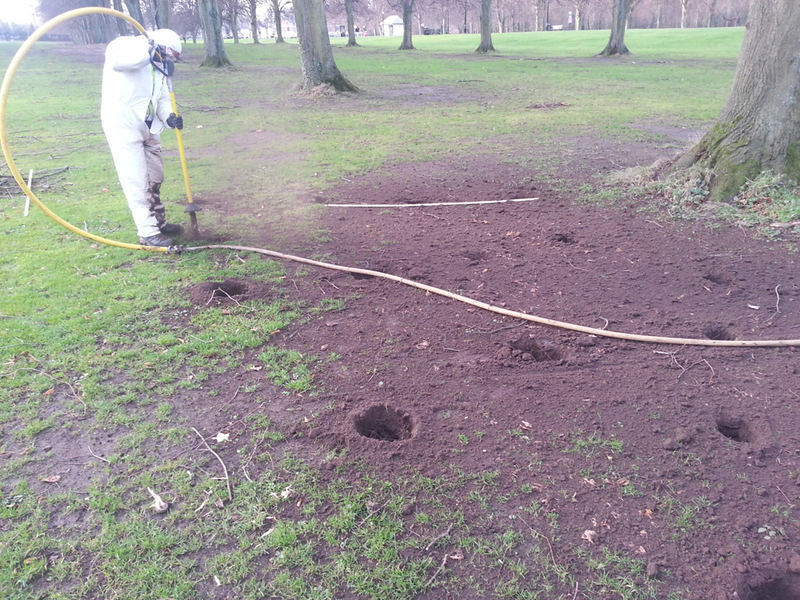 Stormont Estate immediately involved our arboricultural tree survey team to assess the situation and recommend a course of action to prevent any further degradation. What was revealed was that the ground around tree roots was suffering from soil compaction and some waterlogging, thus starving some of the roots of air. 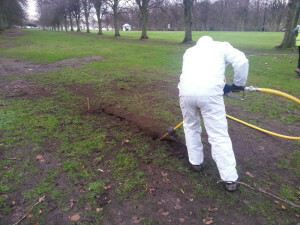 Our team elected to use an innovative but proven technique known as airspading as used for similar situations in the world famous Kew Gardens. Airspading uses a high pressure air hose to loosen soil particles and “dig” around the root structures of trees without damaging or disturbing the roots. The air spade was used initially to survey the trees, assess the state of their health and diagnose what issues existed. 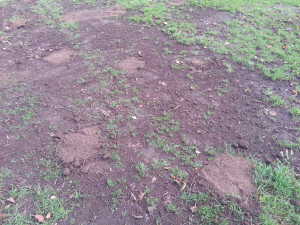 In addition the airspade was also used as part of the remedy by digging a number of trenches around the finer roots and feeding them with a suitable propogating mixture. Using the Airspade to make inspection holes. Using the Airspade to dig feeding trench. 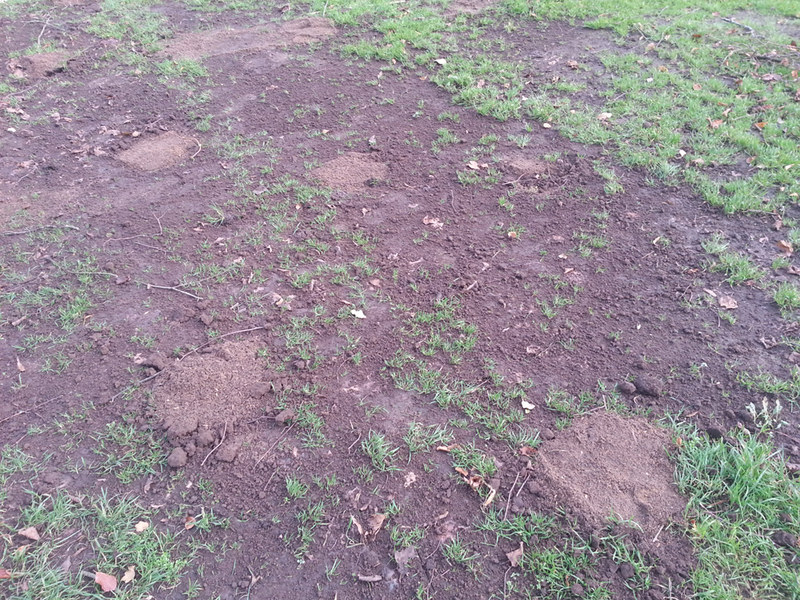 Airspading done….remedy completed, and ground surface restored. 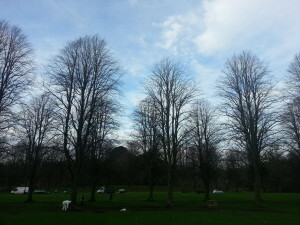 Such regard is placed upon these trees and their aesthetic appeal that essentially Stormont Estate stipulated that they were to be preserved and maintained at all costs, hence the need for an innovative and unusual course of action The air spade enabled an invasive investigation and remedial work to be carried out without affecting or damaging the tree structure.